DOHA, Qatar, 2013-11-20 — /travelprnews.com/ — Qatar Airways announced it will begin flights to the Scottish capital of Edinburgh effective 28 May 2014, operating five flights weekly. Flying direct from Doha, Qatar Airways will provide seamless connections for passengers to many of its destinations worldwide including the Middle East, India and the Far East. The new route will be served by a Boeing 787 Dreamliner in a two-cabin configuration, offering passengers 22 Business Class and 232 Economy Class seats. Recognised as a World Heritage Site, Edinburgh boasts a long and colourful history which can be seen in the cobbled streets of the Royal Mile and the iconic architecture such as Edinburgh Castle. Often referred to as the “Gateway to Scotland”, Edinburgh is situated in the Lothian, or lowlands region, through which the rest of the country can be easily accessed. 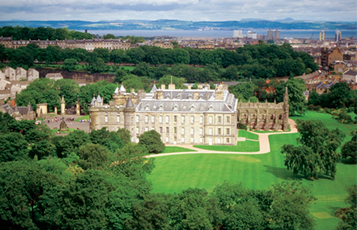 A vibrant city, visitors can experience world-class music, theatre, art and sport all year round while discovering hidden gems of Scottish hospitality in many of the city’s neighborhoods. Over the next few weeks and months, the network will grow further with Hangzhou, China (December 20, 2013), Sharjah and Dubai World Central, both in the UAE (March 1, 2014), Philadelphia, USA (April 2, 2014) and Miami, USA (June 10, 2014). This entry was posted in Airlines, Airports, Flights, Transportation, Travel, Travel Services, Travelers and tagged Doha - Edinburgh flights, Edinburgh, flights, Qatar, Qatar Airways, Scotland. Bookmark the permalink.